Can You Ethically Sell to a Friend? Maybe you have a college classmate in a company your firm would like to sell to. Maybe a neighbor down the street works for an organization you wish you could sell to. Maybe you’ve become friendly with someone in a client company for which you’d like to do further work elsewhere in the organization. Can you sell to a friend? Should you? And even if the answers are ‘yes’ – how do you go about doing it? Let me make a guess: the reason you’re reading this article in the first place is that you feel somehow squeamish about these situations. Part of you feels it’s unfair to take advantage of a friendship for the sake of sales, that it cheapens your friendship. More importantly, you’re concerned you might put your friendship at risk by appearing to use it for your own commercial gain. Worst of all – you’re worried what your friend might think of you. Well, rest assured: there are some times when it’s wrong to sell to a friend – and there are some times when it’s right. There are ways to tell the difference. And there is a way to do it that minimizes any risk. And when you follow these rules, any ethical quandary disappears. Let’s be clear. If you’re coldly using a personal connection solely to get business, but you pretend otherwise, and you don’t truthfully much care about the consequences to your friendship, then you are indeed behaving unethically. And we struggle not only to be clear about our own motives, but with how it will appear to our friend. So, how can it be done ethically? In other words, you’d probably approach your brother-in-law in the manner of a trusted advisor – someone who applies his expertise with the best interests of the client in mind. You place the long-term interests of a close relationship (family in this case) over the short-term interests of your business. And, if you knew your firm wasn’t the best choice for your brother-in-law, you’d probably tell him as much. The point is, you’re more attached to your long-term relationship with family than you are to a sales transaction at work. So – what’s the difference with a friend? The correct answer is – there shouldn’t be any difference. If your services aren’t the best fit for your friend’s company, then you shouldn’t be pitching her. And if you really do have the best solution for your friend’s company – then you should be selling it, if only because you’d like to see your friend and her company do well. The real question isn’t whether you should treat a friend like a brother-in-law – it’s why you would treat any customer any differently? Notwithstanding all the above, it can be socially awkward to sell to friends – as much for the friend as for you. Relax, you don’t have to jointly take an ethics course. All you have to do is Name It and Claim It. To sum it up: if you wouldn’t sell it to your brother-in-law, don’t sell it to your friend. And if you would sell it to either one, say so, and say clearly why you’re doing it. If it’s the right thing for your friend to buy, then it’s the right thing for you to sell – to your friend as much as to anyone else. 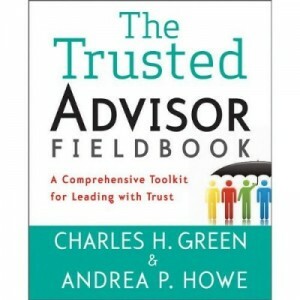 http://trustedadvisor.com/public/trusted_advisor1.png 0 0 Charles H. Green http://trustedadvisor.com/public/trusted_advisor1.png Charles H. Green2018-08-06 07:23:412018-08-06 07:23:41Can You Ethically Sell to a Friend?